Will the Volkswagen emission cheating scandal lead to claims against auto dealer bonds? As an auto dealer, you remember the record number of vehicle recalls that dotted 2014. The recalls, initiated by several large automakers, spread fear among dealers about potential claims, and lead to a decline in business. Luckily, car sales have boomed in 2015, and many dealers have managed to profit from recalls. But now different clouds are gathering around dealerships that sell Volkswagens because of September’s colossal “VWGate” scandal, which revealed Volkswagen cheated on emission tests of many of its diesel vehicles, and had knowingly sold vehicles that emit far more pollution than allowed by law. 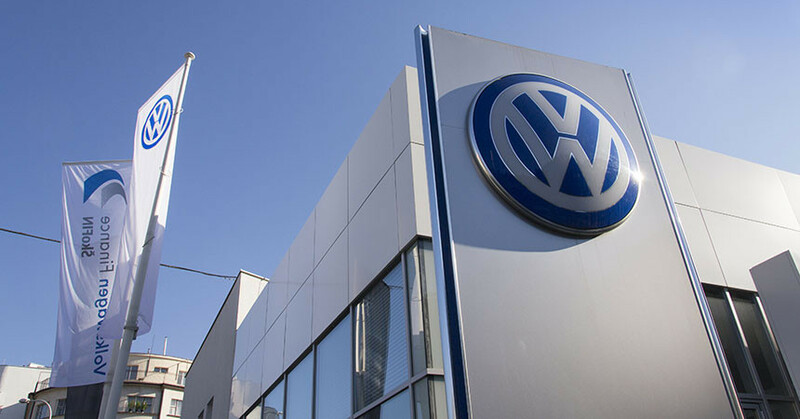 Should Volkswagen dealers and others who sell VWs be concerned because of potential claims against their dealerships, and particularly, their auto dealer bonds? Let’s look at the implications of the scandal to find out more. To better understand the problem, we need to begin with its magnitude. This past September, the EPA detected that at least 500,000 Volkswagen diesel cars in the U.S. had been equipped with a software defeat device that turns on only while emissions tests are being run, but turns off once the car is on the road. With the device off, nitrogen oxide emissions of these vehicles are as much as 40 times greater than the EPA’s allowable limit. As the scandal unfolded, Volkswagen admitted to purposefully cheating by installing the software, and it eventually admitted that 11 million cars worldwide have been affected. It’s not yet certain if the company will recover from the blow to its reputation, not to mention the billions of dollars it will likely pay in fines. One question remains, however: What is the role of car dealers in all this? Volkswagen dealers face a hard time, with many vehicles in inventory that they cannot sell, as well as numerous complaints from angry customers who demand dealerships buy back their vehicles. And then comes the even larger question of their legal responsibility. The automaker has admitted to cheating, and numerous class action lawsuits are underway. But little is being said about VW’s dealers. Is it be possible that some of them were not in the dark about the emission scheme? Another accusation in this case is alleged violation of the Racketeer Influenced and Corrupt Organizations (RICO) Act, which was adopted in the 1970s to combat organized crime. A section in the act makes it a crime to help a criminal organization. Falsifying emissions results is a crime, and if the dealership was aware of the crime while selling the vehicles, it could be considered an accomplice. If the dealership is found guilty, the case would provide a precedent for similar lawsuits, which are more dangerous than claims against an auto dealer bond. Even if a dealership withstands the lawsuits, its reputation will likely be so soiled that it will not qualify for an auto dealer bond—and as a result, no license as well. Some dealers are wary that the VWGate scandal may also lead to claims against their auto dealer bonds. State governments protect car shoppers by requiring auto dealers to obtain bonds in amounts between $10,000 and $100,000, depending on the state. A dealer that has used fraud in its business practices may face penalties for sums up to the amount listed on its bond. It may even have its license revoked. Learn how surety bonds work. Normally, a claim will not be valid if the dealer is not directly at fault. The most common reasons for surety bond claims against dealers are used car sales where the dealer may have tampered with the car and purposefully hid that information, or issues with the title transfers. Others reasons include refusal to honor a written warranty, some types of financing fraud, and selling a stolen car. There is, however, one claim foundation that may get a Volkswagen dealer in trouble. It involves whether or not a dealer took part in the automaker’s fraudulent scheme. This claim foundation is based on the failure to provide truthful information about the vehicle and its state during a sale. But if a dealer was in the dark about VWGate, there should be no valid reason for a claim, and any attempted claim can be easily disputed. Despite this speculation, though, auto dealers can rest easy about potential surety bond claims. For now, the accusations are not based on a solid foundation. After all is said and done, VWGate appears to be the responsibility of the manufacturer, and dealers are just as much victims of Volkswagen as are customers. This is what we know so far. But the investigation continues, and more is discovered daily about the biggest automotive scandal of the year, so stay tuned. we have to maintain proper coordination with customers time to time.